Greetings and Happy New Year from Carleton Law Group. We extend our best wishes for a happy, healthy, and prosperous 2015. Our team is very grateful to live and work in this community. We believe we have a responsibility to make a difference in the lives of our neighbours who suffer temporary or permanent setbacks. To date our charitable giving as a business has been ad hoc and far from organized. We have resolved this year to give every month in some meaningful way to a local charity chosen by a member of our team. The team will benefit from a briefing each month on the work of the selected organization and we will feature this charity in our monthly posts to Facebook and Twitter. No one can ignore the tough economic times we are experiencing in Southern New Brunswick but we must continue to provide assistance to those who are least insulated/protected for the realities of poverty. This is our modest contribution and if you would like to join us we will happily make room for your gifts to be included with ours. Hestia House has urgent need for towels and face cloths. We are going to be collecting them at 117 Carleton Street and delivering them to Hestia House throughout the month of January. Please feel free to add your donation to ours. There is no greater feeling in the world than knowing you have brought happiness to another person. Ensuring others are happy truly makes me happy. In the month of February, when the outside world is blustering with cold and snow, the warmth you feel in your heart knowing you have helped make someone happy cannot be denied. I have chosen First Steps Housing for my charity of the month. First Steps Housing provides a safe, supportive, transitional home for pregnant and/or parenting young women, ensuring these women have a happy and healthy pregnancy and in turn, healthy, happy children. In providing the necessities required to assist these young women, we can make a difference and make their transition into parenthood a happy one. When your child contracts an illness, whether life threatening or non life threatening, it can be very stressful on a family. My family has experienced first hand the loss of a young child, teenager and a very premature baby. As a parent or family member of a child who has been admitted to the hospital, you tend to spend all of your time with them. Some family members don’t return home until the child has been released from the hospital. This can make for some very long nights. I would love to provide these families with needed personal items during their loved ones stay and also activities to entertain the patients, perhaps in the form of crafts, playing cards and games, etc. For these reasons, I have chosen the Child Life Department at the Saint John Regional Hospital for my charity of the month. I spoke with the coordinator of the Child Life Department, who has provided us with the detailed list below of most useful items. During the month of March, our office will be collecting items and making deliveries periodically to the Child Life Department. If you would like to add to our donation you may do so by leaving your items at our office located at 117 Carleton Street. Diabetes is a serious and sometimes fatal disease if left untreated. It can wreak havoc on blood circulation, causing damage to vital organs leading to toe or foot amputations, blindness or kidney disease. Many suffers of this disease are women. I have chosen to support the diabetes association because I have watched five of my sisters suffer the consequences of this disease but all have benefitted greatly from the research, education and assistance that the Diabetic Association provides. The Saint John Diabetes Clothesline located on 362 Rothesay Avenue collects gently used clothing of any season, bedding & household items, small electronics (working or not) and games. The donated items are then sold and the proceeds are used to benefit those locally who are living with this disease. The new show room on Rothesay Avenue displays the larger items of furniture for sale plus the donated Art work from local artisans. 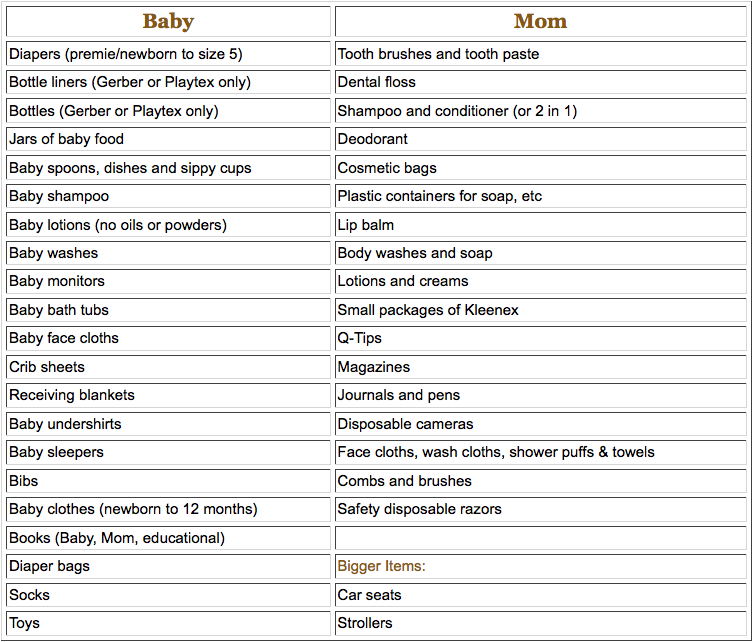 To help, our office will be purchasing and collecting items and making regular deliveries to the Clothesline office. If you would like to add to our contribution, you may drop off any items to our office. You may also be familiar with the Red Bins located around our city and surrounding areas where you can also make donations of “softer” items if that is more convenient. Throughout the month of April our office will also be tweeting three steps that may help reduce your risk of diabetes that I have found to be of benefit. When my father-in-law was in palliative care, he, and our family, were very blessed that he was able to spend his final days at Bobby’s Hospice. The medical care and loving care from staff and volunteers gave incredible comfort to our family during a very difficult time. As a result, I have chosen Bobby’s Hospice as my charity of focus in honour of my husband’s Dad, Gerald Legere. One of the many things that eased the sadness of Gerry’s passing was having coffee and treats in the common room. ‎My husband continues to deliver cookies and muffins regularly even years after Gerry’s passing. As a firm, we will be baking our favourite goodies and delivering them throughout the month of May as that is the month of Gerry’s birthday. If you would like to drop off your favourite cookies, we would be happy to deliver it for you along with our treats. Additionally, you can drop off any gently used clothing and/or second hand retail items to our firm and we will bring them to the Hospice Shoppe which is a second hand shop with all proceeds going to fund care at Bobby’s Hospice. As well, we understand that there is always need for note paper and gift cards. I thank you, and my husband Frank thanks you, for any donation you can make to this amazing House. This month we intend to focus our efforts on preparing a generous supply of hearty, nutritious soup for Romero House- 647 Brunswick Drive, Saint John, N.B. We remain mindful of the many ways this important organization continues to serve our neighbours who are most in need. You have our gratitude and our respect. Our donation is given in this spirt. As many families experience sending children back to school in September can be an expensive process. During the summer months, the Saint John Community Food Basket collects donations of school and lunch supplies to help relieve this burden for families in need. During the month of July we are joining in this effort so all Saint John families can look forward to September 2015. Although the focus of this month’s charity is collecting school supplies; monetary donations, perishable and non-perishable food items, or various hygiene products would also be greatly appreciated. My friend, Colin Landers, lost his father six years ago from complications following a liver transplant. For the past three years, the Landers family has hosted the Peter Landers Memorial Golf Tournament, in his memory. This golf tournament donates all proceeds to P.R.O. Kids in Saint John, an amazing organization in our community which assists underprivileged children to enroll in sports and activities which they would otherwise be unable to enjoy. This year, the tournament will be held on August 21, 2015 at Rockwood Park Golf Course starting at 12:00 p.m.
Good work Carleton Law Group! You stepped up to the challenge and logged 2,588,007 steps in September to raise vital funds to support local children and adults with Cerebral Palsy. The internal rivalries were motivating. I think we should do this again. The YMCA Strong Kids Campaign raises money to grant individuals in our community the opportunity to participate in the Y programs, regardless of their financial situation. The money that we raise allows the Y to be open to all and helps to build a healthy community. As a proud committee member of the YMCA Strong Kids I am honoured to help contribute to the growth and learning of our community. In support of Strong Kids our office will make a donation to this worthy cause and will collectively participate in the 2nd annual Strut for Strong Kids. This fundraising event is held on October 24th in conjunction with the Grand Opening of the new Saint John Regional YMCA. Our team members and their families will walk with the other participants from the old YMCA location to the new facility on Churchill Boulevard. Not only does the Strut for Strong Kids raise critical funds to support our local communities but it is also a great opportunity for team building and to participate in a fun wellness activity. Our charitable focus of the month is the local chapter of CARMA-Cat Rescue Maritimes. As a lover of animals, I know that many felines are left vulnerable to the frigid temperatures that are quickly approaching. CARMA provides temporary shelter, food, medical assistance, including veterinary costs, and helps facilitate cat adoptions in order to offer a better life to these cats.